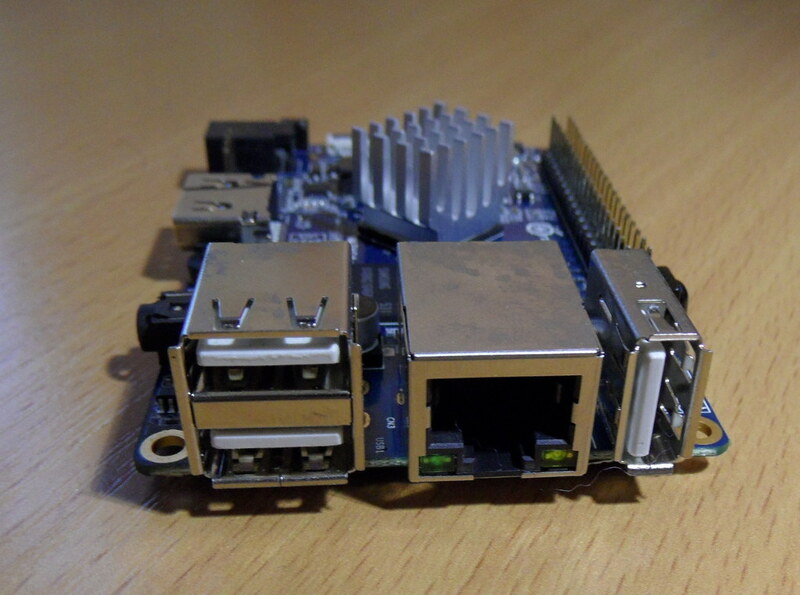 Openelec Build for OPI PC and 2 now with HW decoding - Openelec - OrangePi - Powered by Discuz! I had forked Openelec but was having issues jernej was futher along so we swaped to his fork. This is unofficial and should be usable, however expect bugsFeel free to contribute! MOD EDIT: Build instructions were not updated and thus misleading. Please check FAQ thread for latest one. Fourth step : So after the manual editing the patches into the newer librelelec , just play a little more and you gonna scratch your head why he included a original in the sw patch after you pass that your kodi should build so librelec builds hapily futher and makes a images . Well, there will be no next version from me, but anyone is free to modify current source as much as he/she likes. I just got a clean version (git clone) of your repo and I'm not able to make an image out of it. Fixed. The problem is that U-Boot package is using git repo which gets rebased for every rc. I wanted to go back to rc tarballs but for some reason folder name inside tarball is not correctly formed, so for now I just updated git version which will work till new rc release. anyone tested, if auto frame rate switching works, escpecially 24fps? Framerate switching should work, if you have HDMI cable connected during Kodi startup (supported resolutions and framerates are checked at that time). Of course, you must enable this in settings first. LibreELEC was forked from OpenELEC after you forked co maybe it will be not so hard ? The new Local Code Enforcement girl, has my neighborhood cleaning up, to shame the one family of anarchist renters, that won't clean up their act. It's had me outside more than I really care to be, for simple mold & mildew removal & maybe a little painting, all of which wasn't really needed at this time. Had no time to play, except late evening, when I'm already too tired, to make much sense of things. @jernej Thanks for your selfless contribution to Orange Pi Community. We want to donate to you soon. You can send your account to me. Thanks again. Point is in connecting input device like mouse or keyboard AFTER boot, at Kodi's home screen. Before that patch, there was noticable lag for about a second or two. Also playing with power button is possible again, but I won't do it. You can check my repository at https://github.com/jernejsk/OpenELEC-OPi2 It's primary target is OrangePi2 but actually it should work on any H3 based Orange board. I'm that close to make a working image, so maybe you could help me? I was able to build the image using your git repo. It boots on my Orange PI PC ! I didn't get a chance to try to play any video, need to find a USB hub and put video file on USB stick. Strangely enough if you go in to the KODI system settings it lags very hard. Spent a lot of time trying to get the sound working with no success. Glad to hear that it's working for you too! Can you tell me more about this USB issue? Maybe I can prepare unified script.bin for both boards. If that won't work, I can post few instruction how to override my script.bin without rebuilding the whole image. Can you tell me more about this USB issue? Sorry, I meant what it's needed to be done to solve this in script.bin. I worked hard trying to solve sound issue without any success. Did someone managed to get sound on Raspberian or Debian? @jernej sound is working in Debian and raspbian. @swordfish6975 your script.bin is for other board. You can changed it. Steven, can you help me with the right alsa configuration? I tried this tutorial http://www.orangepi.org/wiki/2015-01-19/98.html but it don't work. When I will be able to play some simple wav file with aplay, then I would be able to add sound support to openelec. I always get "Slave PCM not usable" error. 2019-4-20 13:18 GMT+8 , Processed in 0.042821 second(s), 24 queries .